Simone Collins is an active figure competitor with IFBB (International Federation of Body Builders) and is passionate about health and fitness. She initially went vegan for ethical reasons but also learned about the health and ecological benefits of a plant-based diet. Simone is currently studying Certificate III and IV in Fitness to become a certified personal trainer. I went vegetarian at 13 years of age due to ethical reasons. Even as a child I never wanted to eat meat - I was always an animal lover, and I despised the fact that I was eating them. When I turned 13 my parents allowed me to make a choice, and I chose never to eat meat again. I went vegan for the same reasons. I came to realise through campaigns run by Animal Liberation Victoria, that the dairy and egg industries are just as guilty for enslaving, exploiting and mistreating animals as the meat industry. I vowed to go vegan and never use or consume any animal products. I also make sure any cosmetics or household products I use are cruelty-free and not tested on animals. I have never felt healthier or more energised since going vegan. I have been able to get in the best shape of my life, build muscle, and compared to other figure competitors, I am able to keep more variety in my diet and do less cardio when preparing for a show. I also feel peace of mind, and more at-ease with the world, knowing that I am doing my best to lead a positive, compassionate, healthy and more sustainable lifestyle. To me, veganism is not a "diet." It means to live respectfully and compassionately, to understand all sentient beings are equal in their right to live in freedom and happiness, without suffering - human and non-human alike. I mainly do old-school bodybuilding-style training with weights, mixed in with a bit of power lifting. I want to start doing more strongman-style training or maybe crossfit as well. 5-6 days a week, for about an hour. This is something I will be offering face-to-face and online in 2014, when I have completed my certificates. I compete in bodybuilding/figure competitions, and I am hoping to do some power lifting, strongman and crossfit competitions in the future. The obvious - that we need to eat meat! Especially in sports like mine where building muscle and getting lean is primarily associated with the consumption of large amounts of animal protein. I address this by explaining that vegan sources of protein better for you - they are free from saturated fat and cholesterol, they are non-carcinogenic (unlike meat and dairy) more easily absorbed by the body, and are alkalising rather than acid-forming. I also use my results in the gym to prove my point that building muscle and strength is just as achievable as a vegan, but far more beneficial to health, the animals and the environment. Applying my training and diet to build strength and muscle. My upper-body is my strong point, and for power lifting the bench press is my best lift. Genetically my upper body builds a lot more easily than my abs or legs, so I have a hard time increasing muscle mass in these areas. Squats are a challenge for me and are my weakest lift. There's also a lot of fun to be had in a challenge so I use it as motivation to improve. Generally they are. I think a lot of people who have seen my transformation during my training changed their views on veganism, and a few have even joined me. Most people who don't know already are often surprised when I tell them I'm vegan, and are instantly and genuinely interested in what I eat. The people who aren't supportive are usually those who don't know me and haven't seen how far I have come in just a few years as a vegan athlete. I was the first in my family to become vegan, however both my sisters are now vegan. My parents are not vegan, but have always been supportive of me. Breakfast - Oats, berries, flax oil, cinnamon and a vegan protein powder mixed in with water. Lunch - Tofu, tempeh or seitan, vegetables, brown rice or lentils, and raw salad topped with salsa, natural sea salt and nutritional yeast. Dinner – Tofu, tempeh or seitan, vegetables, brown rice or lentils, and raw salad topped with salsa, natural sea salt and nutritional yeast. Healthy - vegan protein shakes, nuts, rice cakes, nut butter, seeds, wraps, superfood balls, vegan snack bars. Not-So Healthy - Chocolate, vegan ice-cream, vegetable chips, chocolate soy milk, vegan cakes, brownies, muffins, cup cakes and anything sweet (I have a big sweet tooth) but generally I try to keep these kind of foods to a minimum. I love nuts. They really keep my energy up between meals. Not all the time, but sometimes I cycle creatine, or use BCAA's during my workouts. I often get Vitamin D deficient so when my levels are low I take an organic vegan D3 capsule made from fungi. Gaining muscle - eat a lot, especially plenty of vegan protein, and lift heavy. Losing weight - cut back on junk food and incorporate a bit of cardio training. Maintaining weight - keep a mostly clean diet, train with weights and minimal cardio. Improving metabolism - eating regular meals and being aware of your caloric needs - make sure you are eating enough to support your training. Toning up - keep a healthy diet and lift weights regularly, maybe 2-4 times a week. If you can't get to a gym, try some pyrometric or bodyweight exercises. I try to send out a positive and inspiring message about veganism though my passion for training - by building up my strength and muscle, getting involved in the health and fitness scene, and competing in bodybuilding. I hope to show people that you don't need animal protein to succeed in your sport. That being vegan is not a disadvantage. That you can achieve anything as a vegan. I hope that I can motivate and inspire others to also lead a compassionate, healthy vegan lifestyle. I cannot wait to be able to take on clients, to be able to help others on their vegan fitness journeys, and to offer training, diet plans and online coaching for a plant-based lifestyle. I recommend following my Blog, Facebook and Instagram (@simi_collins) Feel free to get in contact with me. 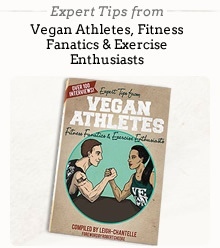 I also recommend checking out the following sites for vegan fitness, muscle, strength, health and activism: Vegan Bodybuilding, Vegan Strength, Vegan Fitness, Evolved Generation, Plant Built, Vegan Easy, Animal Liberation Victoria, Vegetarian Resource Group.